Pierate - Pie Reviews: What A Genius Idea! One of the most common gluten free brands available is Genius. In the last year or so they have expanded and have lots of products in the frozen aisle of most supermarkets including pies(!) for a price normally around £3.50 for a pack of 2 pies. It is still much more pricy that an equivalent gluten containing pie but it is great that this convenient pie option is now available, a few years ago it was a very different story. Despite the price I must admit I do quite often have a pack in the freezer and have eaten them since they have been available. 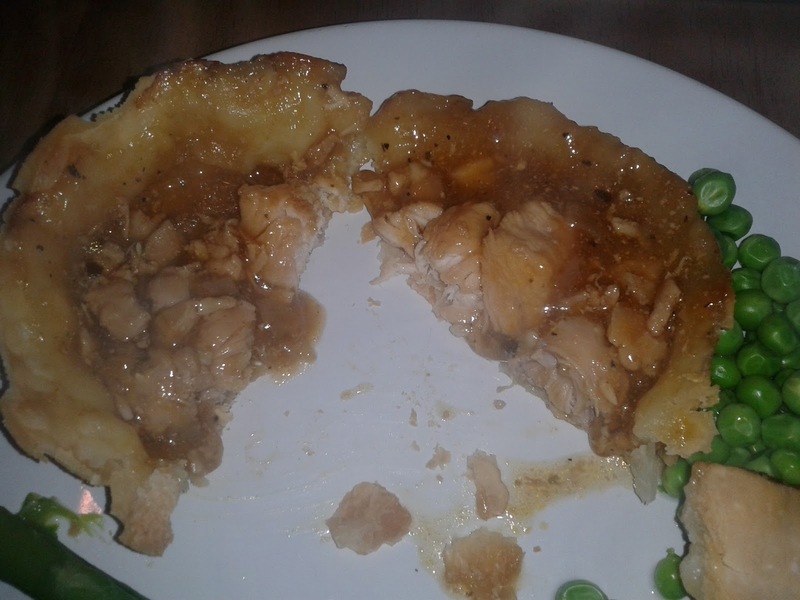 I think the recipe for the chicken pie changed some time after launch and in my opinion it is no longer as good as it was. The beef is certainly my favourite. Whilst they are both tasty they are sadly a bit lacking in meat, especially considering the relatively high price for a small pie. I would have hoped for a pie packed with content. 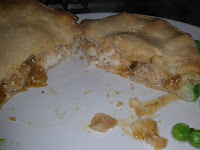 The Steak ones are perhaps slightly better than the DS chicken pie I previously reviewed (now known as Schar) so they are now my favourite Gluten Free meat pies available in the supermarket. I have now noticed that Genius are also doing a similar sized box of 2 apple pies but I am yet to try this. I have also heard rumour of a vegetable curry pie but haven't seen it in the shops. The pies are made in Yorkshire by Chapel Foods on behalf of Genius. The pies have been so successful that Genius have recently bought the whole of Chapel Foods. 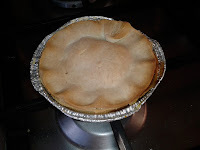 It is unclear whether they will continue to make the non-gluten free pies but they have stated they will increase the range and distribution of the gluten free ones which sounds good to me! The breakdown of the scores for the Chicken & Steak pies are below. Colour – 4.0 out of 7 - This pie was matt, not golden. They could use a glaze, but it did go brown after leaving it in the oven for longer than they said. Condition – 5.0 out of 7 These pies generally don't come out of its case that well (but it is gluten free). Not quite as mass produced in appearance as the DS ones but doesn't look as good. Cheapness – 5.5 out of 7 - £3.50 seems slightly expensive given the lack of meat. £3 would seem more reasonable but I have given it a good score because it is comparable to other Gluten Free products. Different qualities to the DS ones but come out about the same overall. Capacity – 3.5 out of 7 - The pies are not all that big being quite shallow. Gluten Free pies do tend to be smaller than other pies for some reason. I have often found not much meat in these pies so a relatively low score. The pictures are a bit deceptive, I have generally found less content than it looks like in the pictures. 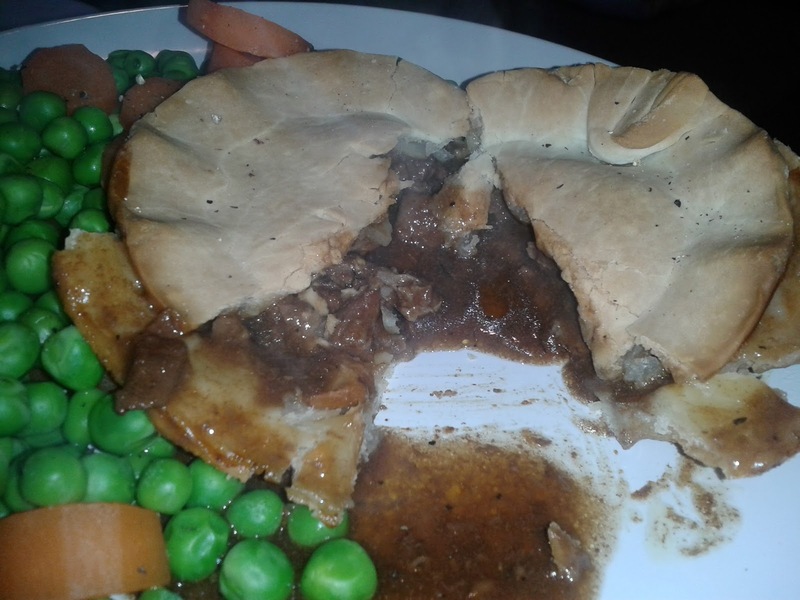 Chewiness – 6.0 out of 7 - The steak filling was not chewy, the pastry was slightly chewy but not crumbly which is good pastry for gluten free. It was almost like puff pastry, a bit gooey on sides. Content – 6.5 out of 7 – The beef was tasty but not much meat. In general I have found less meat than in the chicken pie but this is made up for because the flavour is much better. In fact the flavour is fantastic in these steak pies, rich and meaty. Not just a generic steak flavour. Consistency – 5.0 out of 7 - The gravy is okay, it wasn't too runny. It helps the pie slip down well. I have eaten quite a lot of these pies and they are consistently good. In general the chicken pies are very much the same as the steak versions but with different filling. The meat is equally as tender as the steak version so it is only the content which I have given a different score. Content – 4 out of 7 - The filling does not taste anywhere near as good as the beef version. There is still not a lot of meat despite chicken being much cheaper than beef. I feel that the recipe for these pies has changed since they launched. They used to have quite a generic chicken gravy flavour, which was nothing exciting but nice enough. Now the flavour has become a bit odd and I don't like it all that much. Perhaps the change was in an effort to make the flavour distinctive but I think they should have kept it simple!